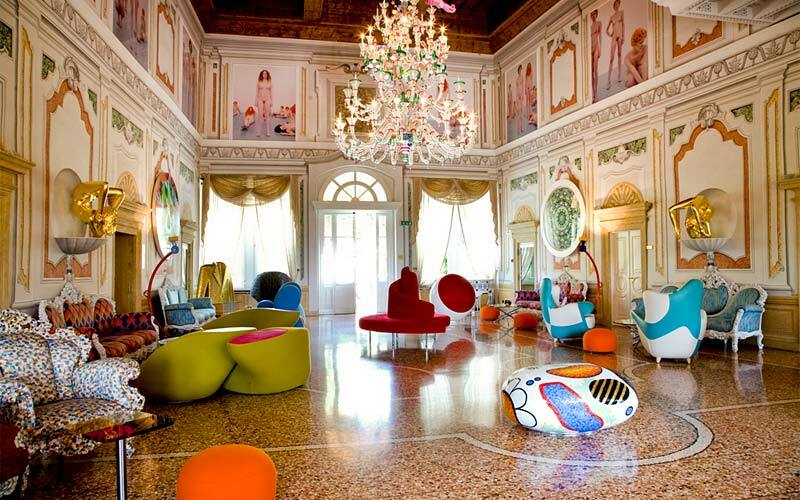 Ground breaking contemporary art, audacious interior design, and world class hospitality: at Byblos Art Hotel Villa Amistà everything has been created to appeal to the style conscious, cosmopolitan traveler. 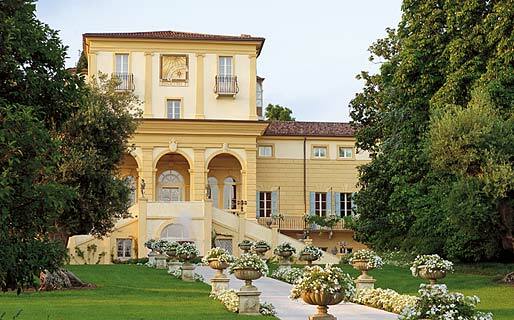 In the region of Veneto, just outside Verona, this splendid 16th century Venetian style villa has been transformed into a sophisticated luxury hotel: combining the aristocratic elegance of the past with bold references to the present. 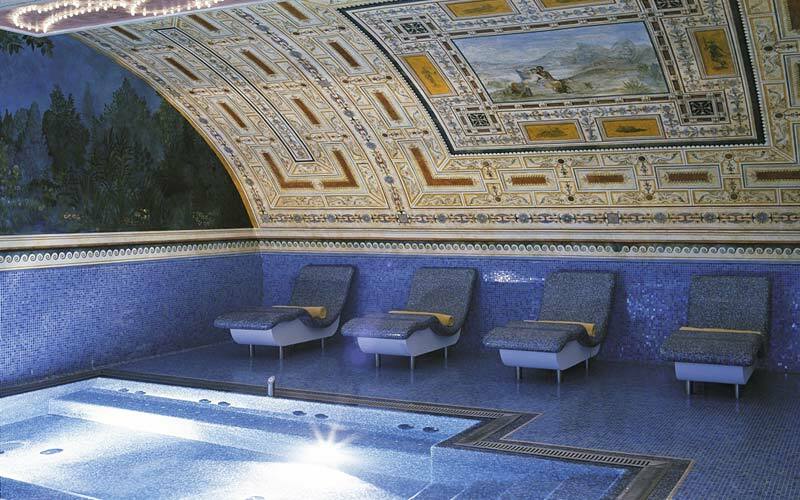 At Byblos Art Hotel Villa Amistà, precious frescoes vie for attention with the very latest in interior design which, together with the property's permanent exhibition of artworks, make the hotel a bonafide museum of contemporary art. 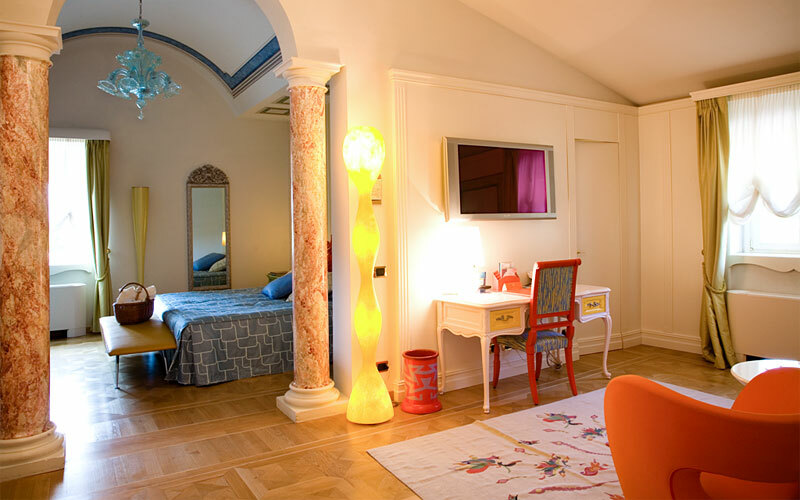 This eclectic mixing of styles, historic periods and colors is the work of designer Alessandro Mendini who, at Villa Amista, unleashed his creativity to realize spectacular public rooms, and 60 sumptuous bedrooms decorated in Byblos Casa style. 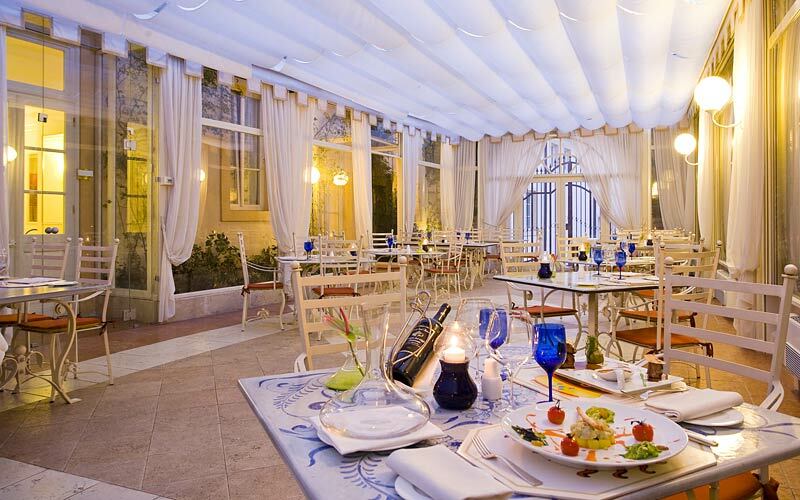 An ideal venue for a glamorous gastronomic soiree, at Byblos Art Hotel dinner is served in the stylish "Atelier" restaurant, in the form of delicious and beautifully presented regional dishes. Wine connoisseurs will want to pay a visit to the villas 15th century cellar, where more than three hundred prestigious Italian wines are housed, including the areas fabulous Valpolicella. As evening falls, sip a stylish sundowner surrounded by the curious plastic forms in Byblos' wacky "Peters Bar"
"Espace Byblos", the hotels wellness center, guarantees hours of luxurious pampering in the form of hydromassage, chromotherapy, tropical showers, steam baths and Decleor and Keraskin face and body treatments. Facilities include a Technogym fitness room and relaxation area in which a selection of infusions are served. Outdoor types will love walking in the villas park, strolling through the Italian garden, or simply relaxing by the hotels large swimming pool. 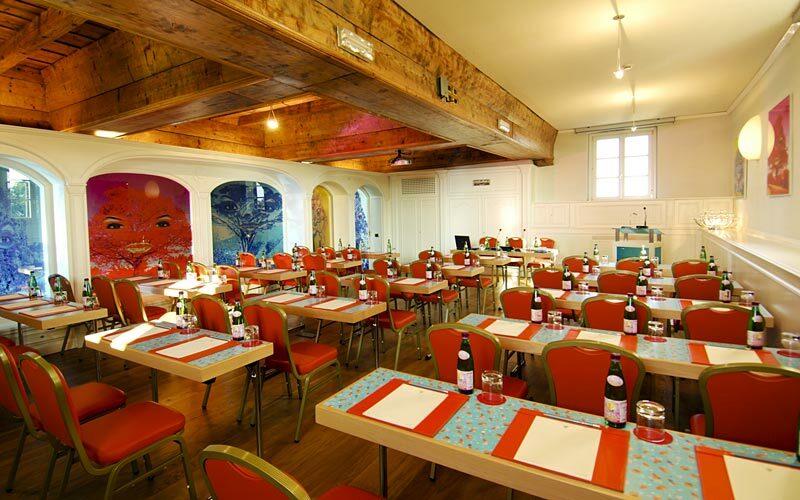 Byblos Art Hotel is a great choice for anybody looking for an exclusive location for a business meeting or social gathering, offering a number of versatile and well equipped function rooms and ample outdoor event spaces. 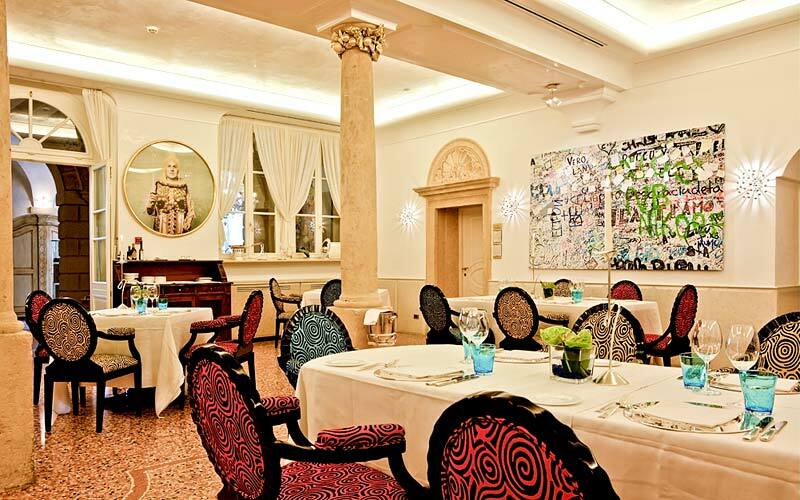 Corrubbio di Negarine is a small town just outside the city of Verona, and it is here, in the countryside of Valpolicella, that Byblos Art Hotel Villa Amistà is located. 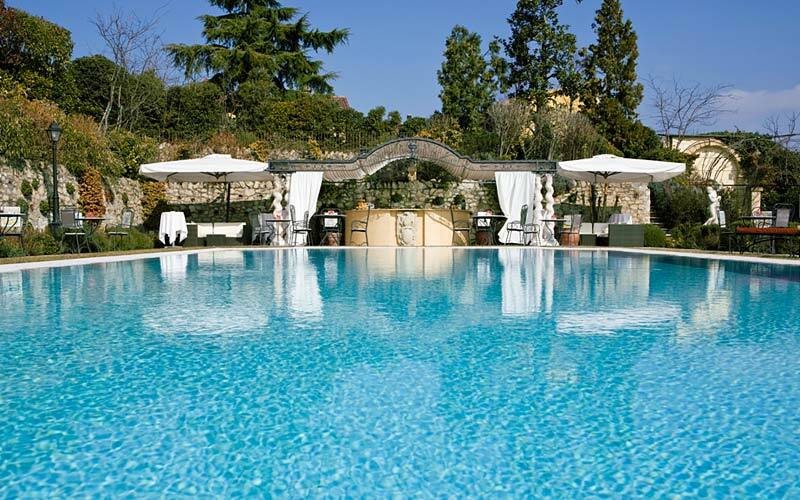 The hotel is sited half way between the city of Juliet and Romeo and the shores of Lake Garda, making it the ideal base from which to visit many of Venetos most fascinating cities, including Vicenza and Padua. Venice is a 2 hour drive away.